Remodeled single-wide on non-restricted 1.17AC. Plenty of room to grow with this property. 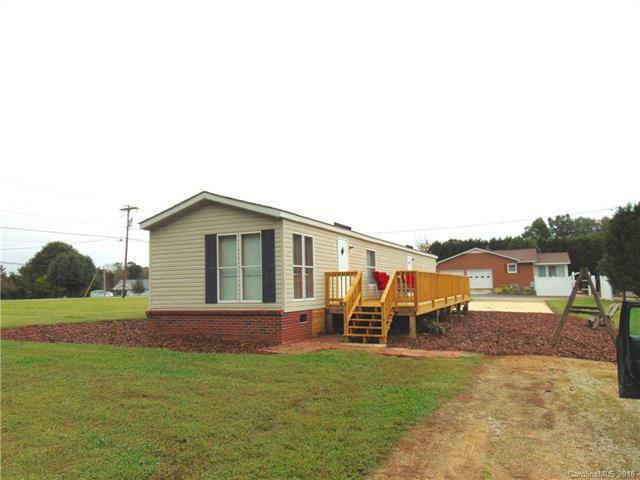 Features new roof, plumbing, flooring, subfloors, vanity, toilet, landscaping, lighting and deck across the back of the home. Home was built with 2x6 framing, vinyl siding with eve overhang, shutters and brick front porch. Master bedroom has private bath with double sinks and walk-in closet. Add onto this home, build a garage, barn or whatever suits your needs. 2 minutes to Dan Nicholas Park and minutes to High Rock Lake, the 2nd largest lake in NC. Location, Location, Location. Don't miss this home and schedule your showing today. Offered by Land Or Lake Realty Llc. Copyright 2019 Carolina Multiple Listing Services. All rights reserved.